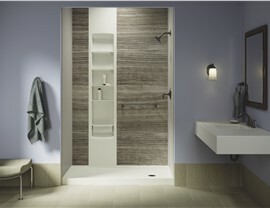 Kohler’s LuxStone Showers Systems use expert design to enhance any bathroom. Custom Styling. 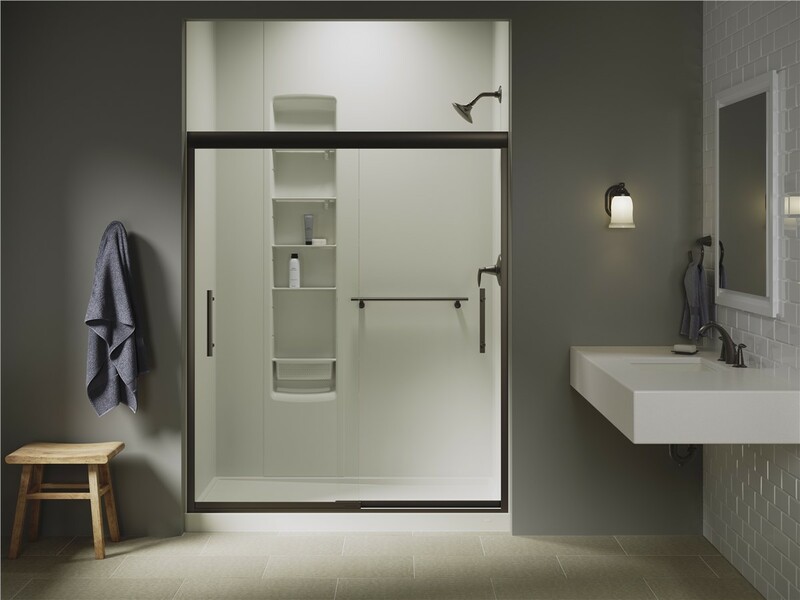 Choose from our diverse selection of doors and glass options to create the look that complements your style and protects your shower. Unparalleled Function. Using air induction and full-coverage technology, our showers produce larger water droplets that retain their heat longer than standards showers, giving you an unparalleled showering experience. Seamless Fit. Our Kohler-Certified installers provide hassle-free installations with a seamless fit, so you can be sure your shower is built to last. When you work with Pacific Bath, our process is simple. Our team will work to design the right Kohler shower or bath for you, so you can enjoy your space for years to come. 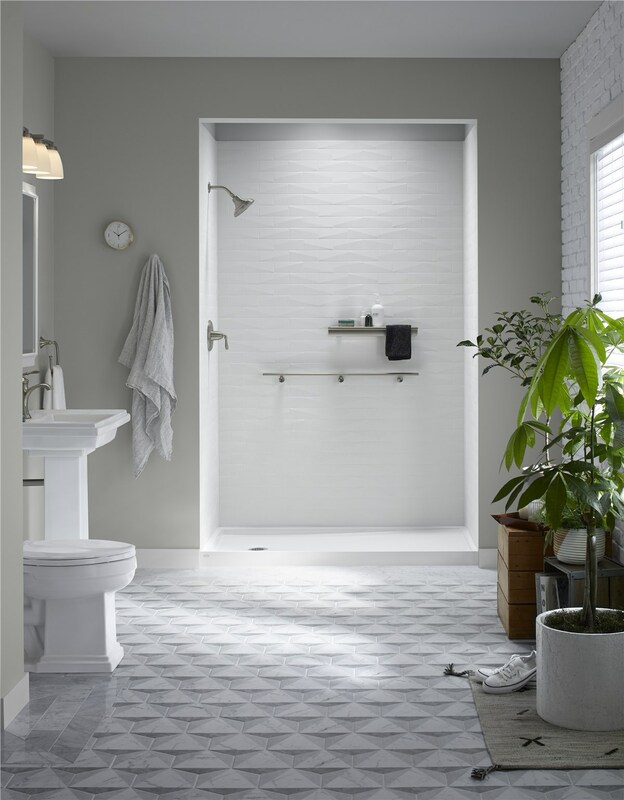 Mix and match KOHLER LuxStone Shower Walls, bases, fixtures and accessories to bring your dream shower to life. Start your design inspiration here. The Sandbar-colored Vein Cut wall design mirrors the unique and intricate patterns of real stone, creating an earth-inspired space that inspires calm and ease. Go all-white for a seamless shower look, with convenient shelving to help you keep all of your toiletries organized. Cool white tones are timeless and elegant. With the added texture of a Vein Cut shower wall. This cosmopolitan combination includes White Brick LuxStone Shower Walls coupled with dark, oil-rubbed bronze fixtures that make a statement.